Following the Moto E leak on Facebook yesterday, the yet-to-be announced device just got another leak and has now been fully revealed thanks to a Brazilian retailer that published images and specs prematurely. 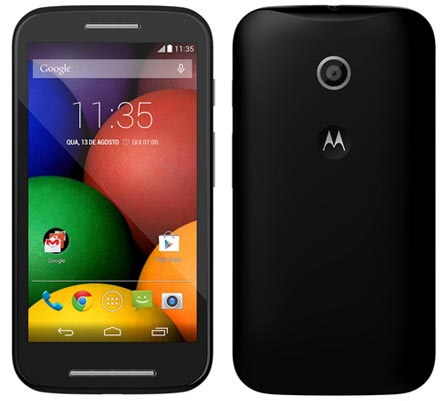 According to the retailer, the Moto E will have a 4.3-inch display and, if the recent leaks are to be believed, will be running at a 720 x 1280 resolution. We’re all expecting Motorola to announce the budget device that will be priced at a point that will be affordable for all next week on May 13th.